As a part of a plan to significantly expand their Southbank medical campus, Baptist Medical Center appears to be moving forward with the construction of a 7-story parking garage at 836 Prudential Drive. 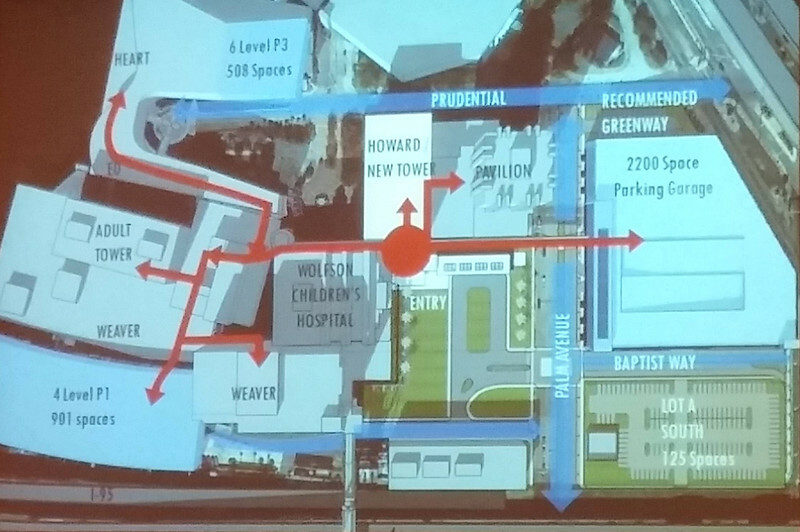 While a massive surface parking lot will disappear, is Baptist missing an opportunity to really improve the quality of their urban complex at street level? 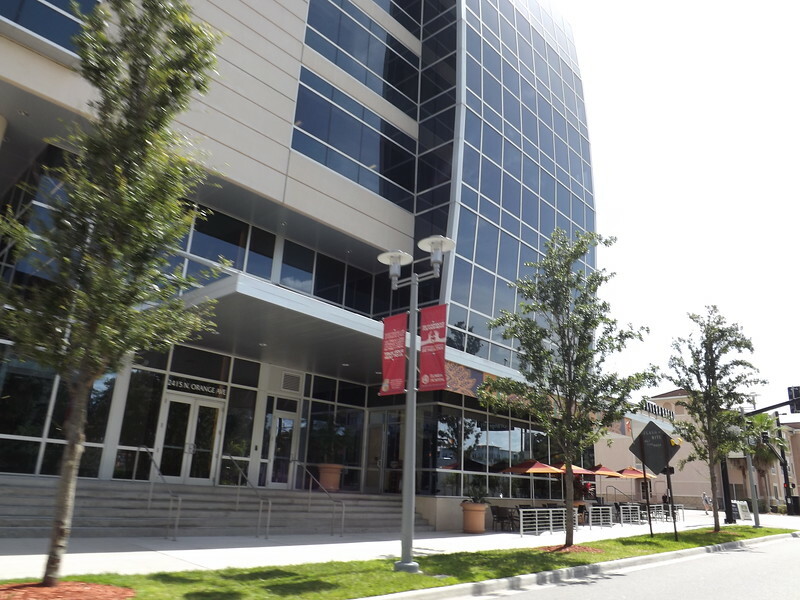 As highlighted in an August 2016 Modern Cities article, Baptist Health is planning a massive redevelopment of its downtown Jacksonville medical campus. August 2016 conceptual master plans and renderings</a></b> obtained illustrate Baptist Health’s intention to create a grand central entrance experience, along with improved connectivity and wayfinding throughout its Southbank medical complex. To accommodate this growth, Baptist is moving forward with plans to begin construction on a 7-story parking garage that will be located at its future main entrance. However, an opportunity to truly create an interactive environment at street level may be missed since plans do not allocate space for street level retail or dining. Take a look at the presentation and let us know if you believe street level retail is essential in this project or if you believe it will be fine without it. 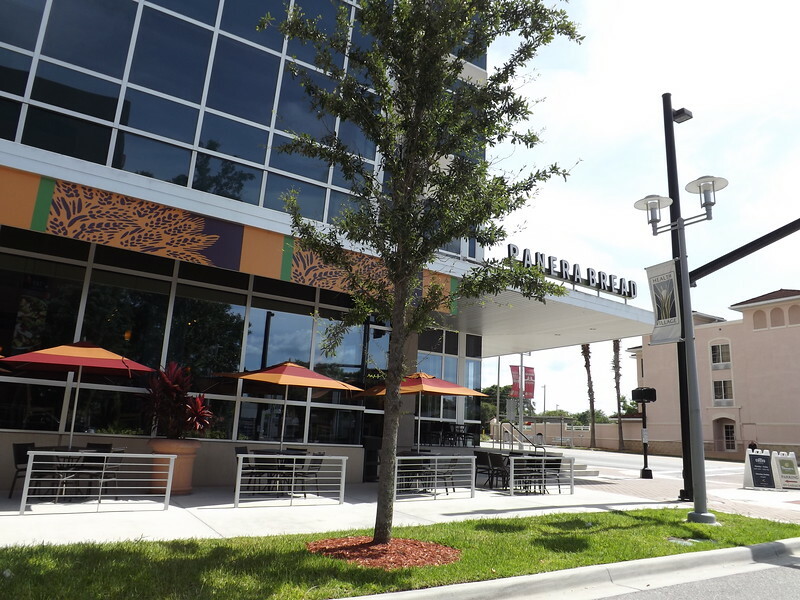 Example: The continued expansion of Florida Hospital’s main medical campus in Orlando includes street level retail spaces that cater to the medical center’s employees, patients and guests.